During the last nine years more than $169,000 has been raised to support the League’s community programs and training sessions. Crowds of up to 400 local philanthropists, former Nebraska football players and Husker fans come together each year to cheer on the Huskers and support the Junior League of Omaha. 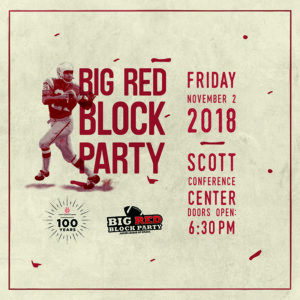 The Big Red Block Party Committee thanks everyone who has attended and supported this event over the last nine years! Project Hope Pack – provides backpacks filled with essential items to children entering protective services.